At the time of writing Nvidia only has a single GeForce GTX 16 series graphics card in the market, the GTX 1660 Ti. A couple of weeks ago we saw some further indications, via Taiwanese industry sources, that the series would be bolstered by the release of a GTX 1660 and GTX 1650 in the coming weeks, . By those recent accounts we will see the GTX 1660 land on Friday 15th March and the GTX 1650 arrive on Tuesday, 30th April. 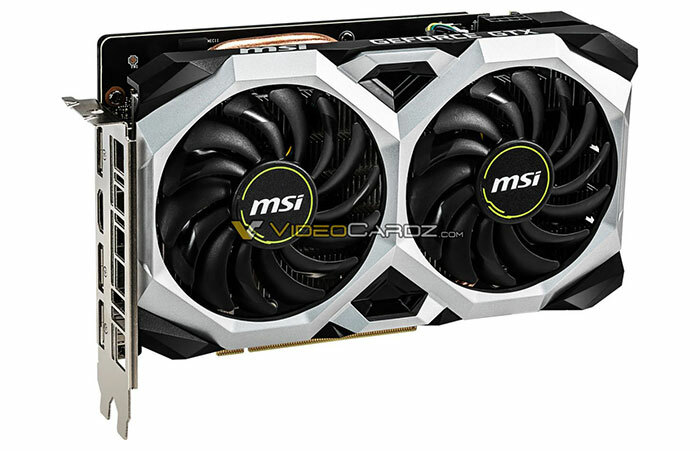 Just ahead of the weekend VideoCardz leaked what appears to be a trio of upcoming GeForce GTX 1660 cards from MSI; pictures and details of the MSI Gaming, Armor and Ventus series were shared by the site. You can head on over to the source site for the full range of pictures if you wish; I've just reproduced a couple of shots of the MSI Ventus XS OC Edition GeForce GTX 1660 here. The packaging of the upcoming MSI graphics cards clears something up, if genuine. A key differential between the GeForce GTX 1660 Ti and GTX 1660 will be that the latter comes packing (6GB of) GDDR5 memory. This slower clocked, lower bandwidth memory delivers 8Gbps, compared to the 12Gbps from the GTX 1660 Ti GDDR6 memory subsystem. Both cards feature a 192-bit memory bus. In our previous GTX 1660 report, rumours pointed to cards featuring 1280 CUDA cores (like the currently available GTX 1060). However, the latest whispers from VideoCardz sources have revised this up to 1408 CUDA cores. That's better of course, and just about 9 per cent fewer CUDA cores than the GTX 1660 Ti. 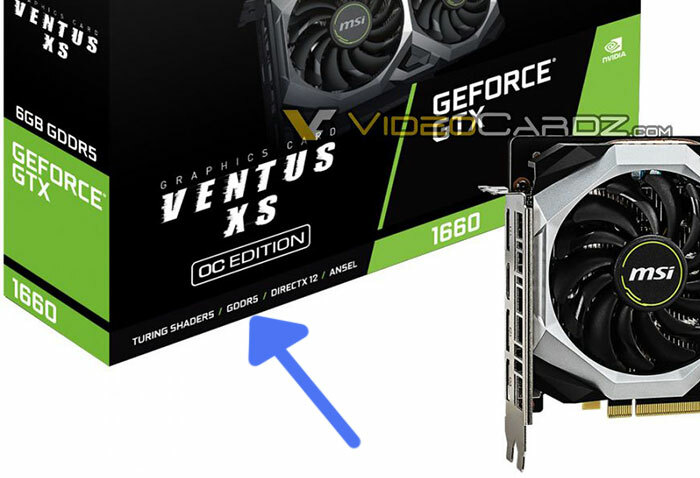 A further titbit from the VideoCardz report concerns the GPU clock speeds we can expect from the GeForce GTX 1660 line. Apparently the reference speeds are 1530/1785MHz but a custom model such as MSI's Gaming X board will boost up to 1860MHz. Last but not least the GeForce GTX 1660 launch will be on Thursday 14th March (not Friday) according to these most recent rumours. Recommended pricing for this new GTX 16 series card is US$219 but of course those with the best coolers will cost more, while aiming to keep out of GTX 1660 Ti territory. HEXUS looked closely at our final GeForce GTX 1660 Ti sample, the EVGA GeForce GTX 1660 Ti XC Ultra Gaming last week.